Avery Manila G Shipping Tag - 2.75" x 1.37"
General purpose shipping tags are made of 13 point stock. Each unstrung tab provides a smooth writing surface and a reinforced eyelet. Attach the tag with wire or string (sold separately) to ensure it stays securely bound to the item it represents. 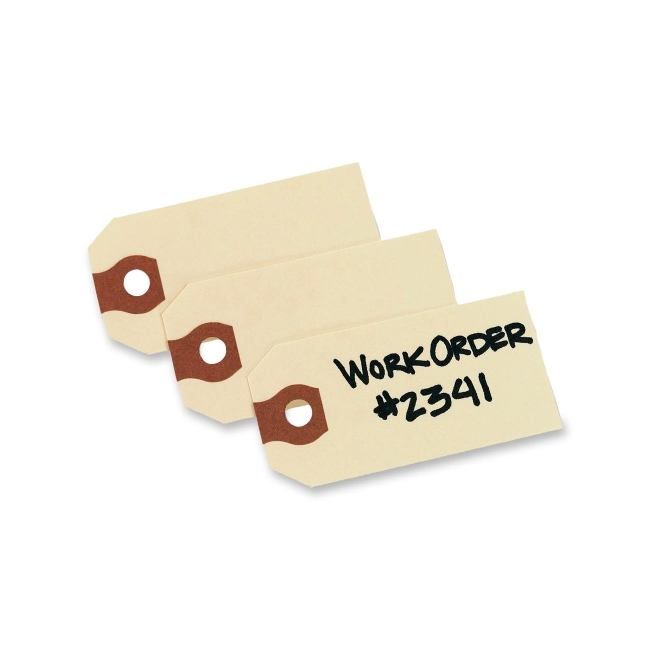 Each tag features a reinforced hole for extra strength to allow string (not included) to hold the tag firmly without ripping through the cardstock.